Ivory and Salmon come together in a pleasing mix of color for this floral arrangement. It is full of Roses, Tulips and Stock and accented with a beautiful Pincushion. 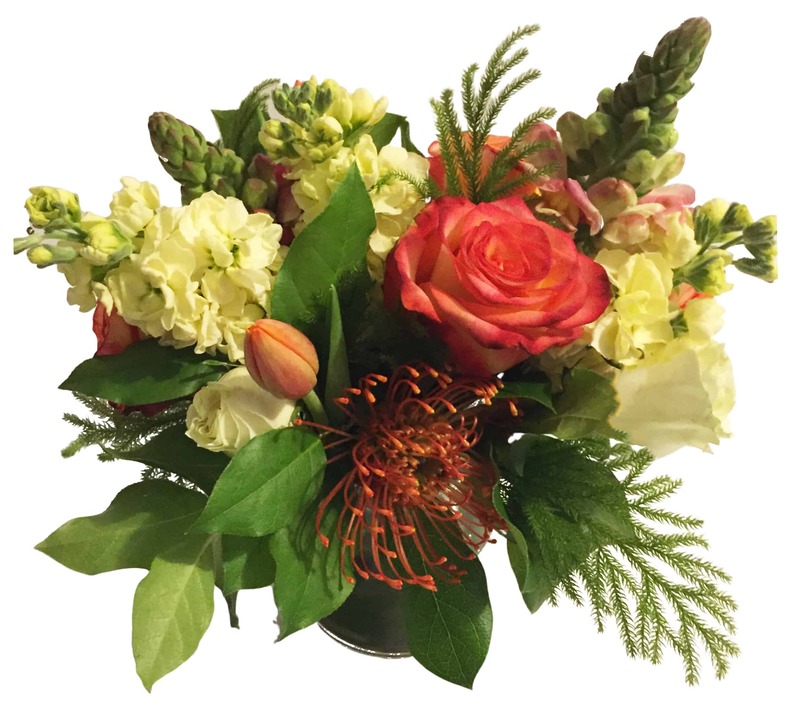 Its warm and inviting colors will be sure to welcome a new baby, celebrate a momentous occasion, or brighten up the desk of someone you care about!